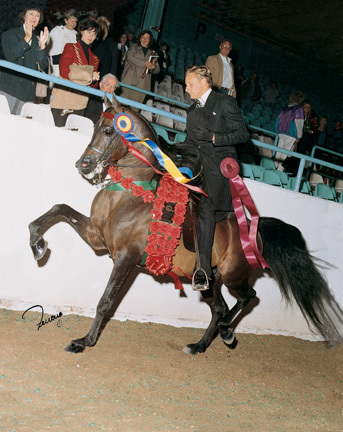 One of the industry’s favorite park horses of all time, Matoi is a 1986 bay stallion by Zodiac Matador and out of the Toi Soldier mare Toi Ellenai. 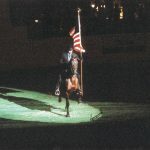 Matoi hit the show ring as a junior horse and became a crowd favorite. 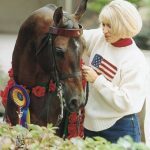 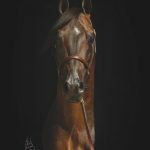 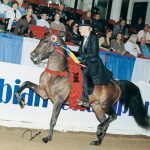 Throughout his career, he earned numerous park horse titles, and was named U.S. National Park Horse champion on three separate occasions: in 1990 in the open, 1993 in the Adult Amateur Owner to Ride and in 1999 again in the open. 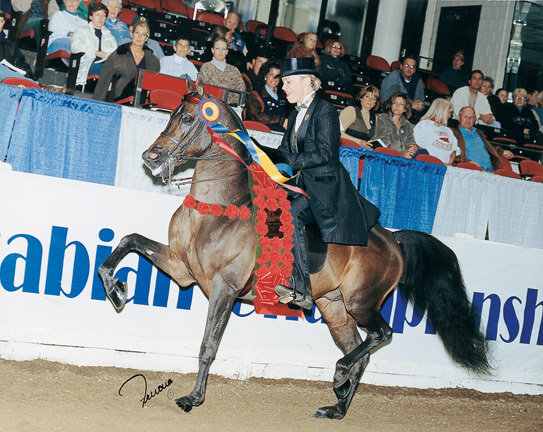 In 2000, he was Canadian Reserve National Champion Park Horse and Champion Park Horse Adult Amateur Owner to Ride. 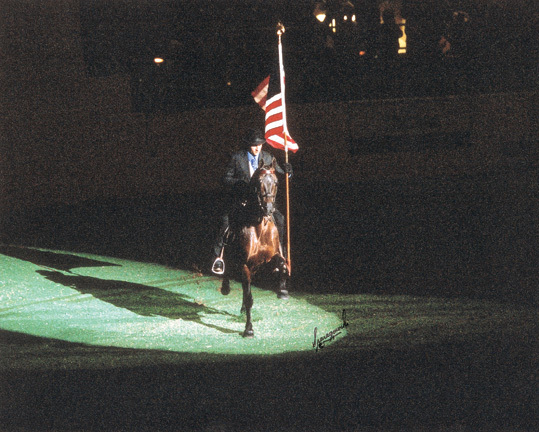 That same year, Matoi claimed the same titles at the U.S. Nationals. 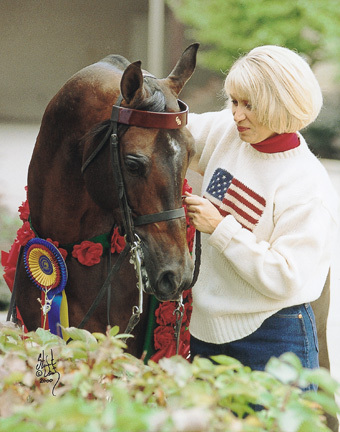 He was also 1992 U.S. National Champion in Arabian Formal Driving. 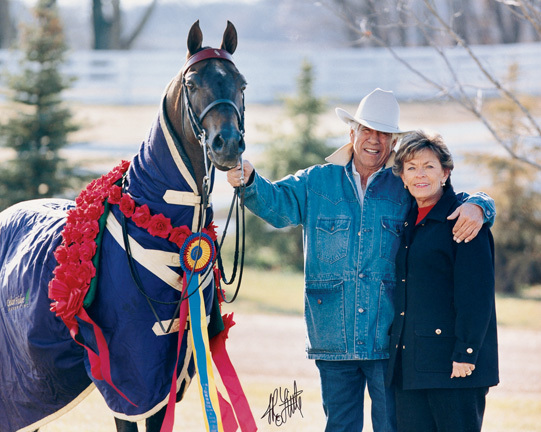 Besides his show ring career, Matoi is well-known as a sire, with his progeny following in the footsteps of their prolific sire. 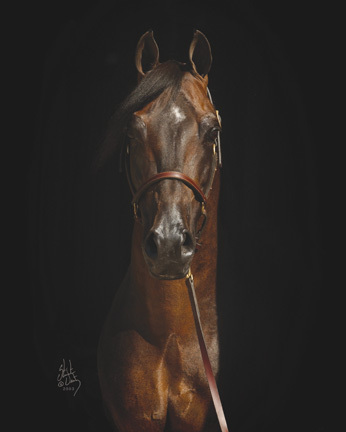 Some of his offspring include the highly successful Toi Jabaska, CRF Hott Pants and Toi Store CRF.